A recent discussion on the Steam Era Freight Car (STMFC) YahooGroup reminded me of some hopper conversations from the past. 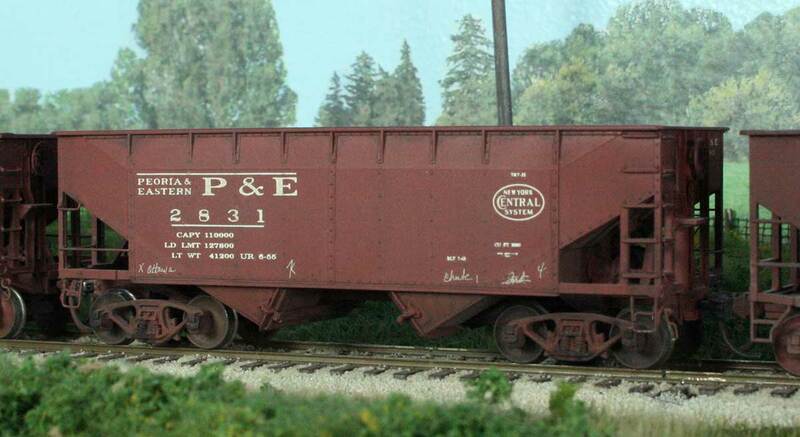 There were a few posts on New York Central (NYC) offset side hopper cars and the lack of models available. Here are some quick tips to modify some readily available models to better reflect NYC prototypes. Click on any image here to view a larger size. 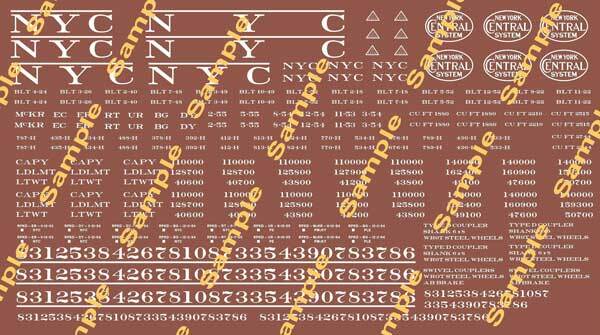 A likeness of an NYC offset twin can be created by removing 1-foot, 6-inches from the center of an Athearn, Accurail, or Atlas car (the triple A of model train manufactures). It is easy to hide the cut as there’s a riveted seam which runs down the center of the car. The car also needs to be raised a bit which is can be accomplished by using washer on the kingpin. This gives the model more of the NYC look of being taller than a standard twin hopper. Compare the length and height differences between a NYC twin and standard twin in the lead photo of Peoria & Eastern 2831 and Rock Island 89727. P&E 2831 is an Athearn car. Once the car is raised the couplers need to be lower. This is done by attaching a new coupler box to the old one. Some styrene is added to the bottom of the hopper to again give the car a taller appearance. 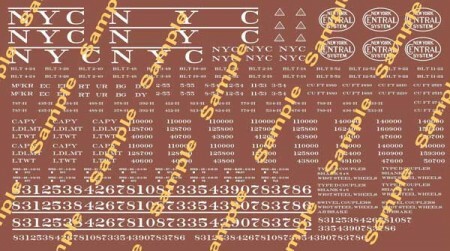 NYC 868422 is an Accurail car essentially modified in the same manner as the Athearn car. Decals are available for this and other NYC hoppers from Resin Car Works! Check out the selection on our website. Frank, simple yet effective approach! Didn’t think of sectioning out a piece out of the center. BTW, how thick a washer to fake the height?